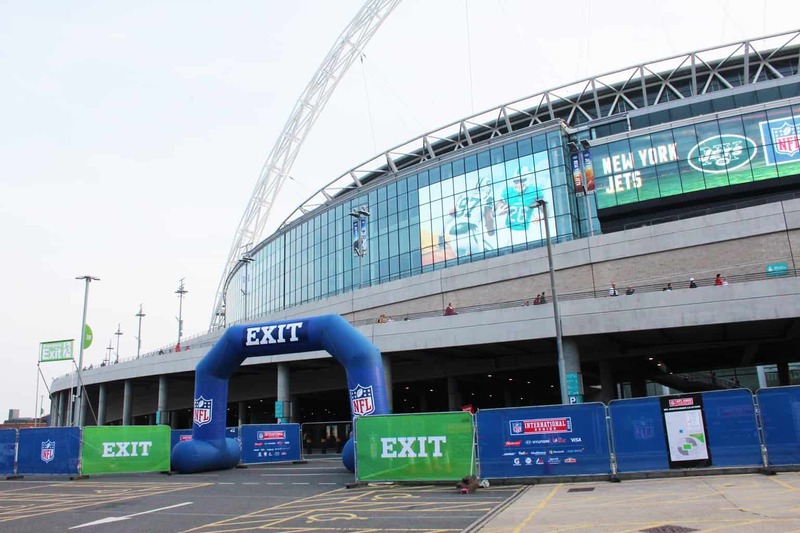 The NFL’s visit to London, keeps growing in popularity year on year and Sunbaba continues to provide fabulous branding for the fan zones in Regent Street, Trafalgar Square and Wembley walkway. Working closely with Wasserman, a global sports marketing and entertainment company to achieve high quality and to help transform the space into a spectacular carnival of sport. 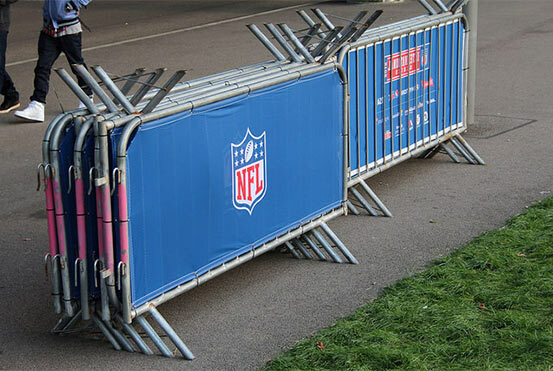 A combination of our screen printed and dye-sub printed Vestaweave was used for the majority of the NFL panels, with screen printing being the preferred option for long continuous runs of repeated artwork. It is a lightweight air permeable fabric, suitable for internal and external use is an excellent product to use for re-occuring events as it can be easily stored. The NFL branding included many of the sponsor’s logos being printed onto the material such as Budweiser, Microsoft, Pepsi max and Visa. With 40,000 fans flocking to trafalgar square alone, it was another successful year, We can’t wait to welcome back the NFL this year!